My new year's resolution, eat healthier "time-wise." I tend to skip dinner then dive straight into big breakfast. The extended time frame is not a good thing for my digestive system. So to ease into a better habit, I cut down a small portion of breakfast and set up a rule that I have to eat something during late afternoon. Fruits and toasts are two options for my light afternoon meal. Lately, I've been eating some boiled chicken too. Once in a while, something more satisfying and of course with higher calories came into the picture. Just need to refrain myself not to reach out for the second one. 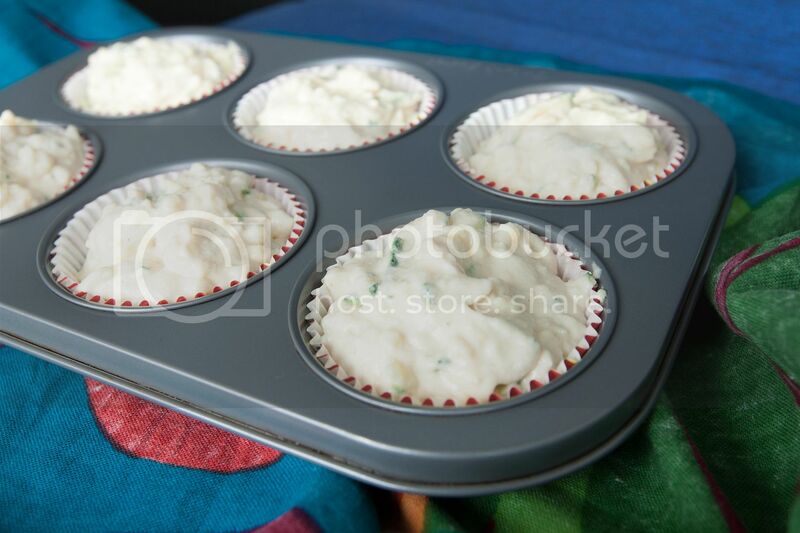 Ingredients (for 8 to 10 medium sized muffins)? Cut the zucchini into strips or simply shred it with food processor. Preheat the oven to 350 degrees Fahrenheit. 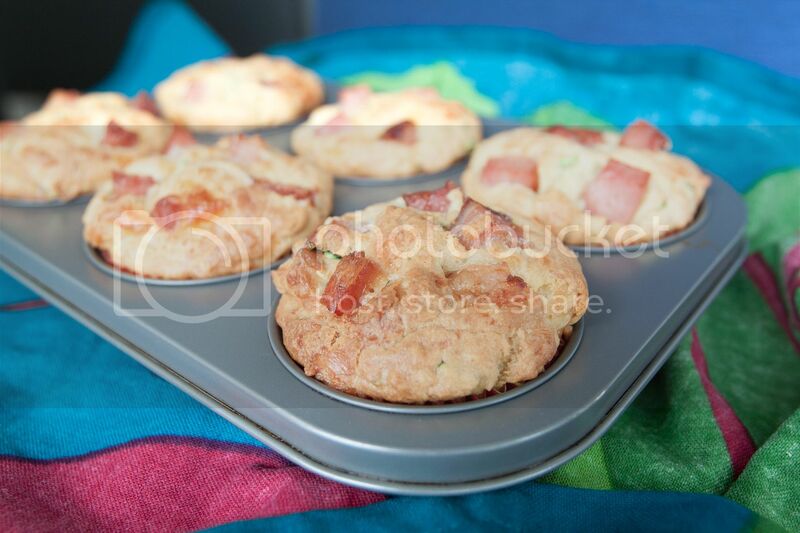 Line the muffin tray with paper muffin cups. Just to be safe, spray the liners with non-stick cooking spray. Prepare a big bowl and mix in all purpose flour, semolina flour, baking powder, baking soda, and salt. Prepare another big bowl. 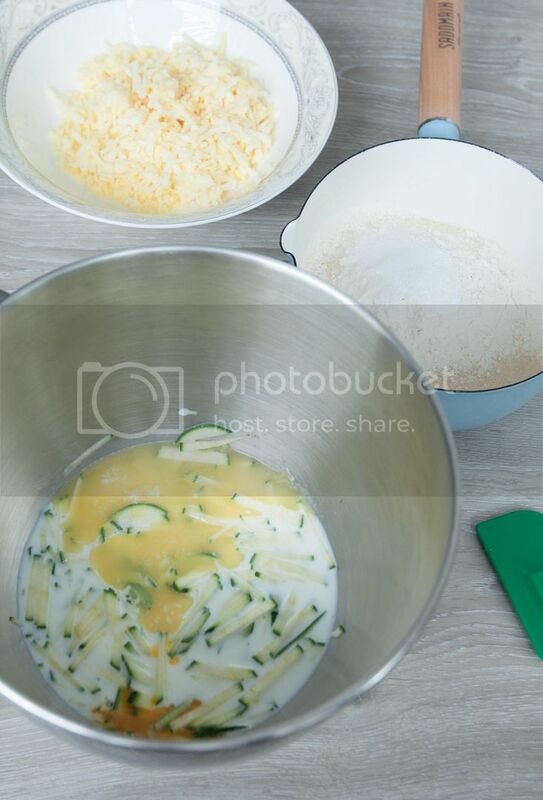 Add in melted butter, egg, milk, zucchini and blend together. Pour the dry mixture into this wet mixture. Mix together then fold in the cheese. Pour the mixture to the muffin cups. Into the oven and bake for around 5 minutes. 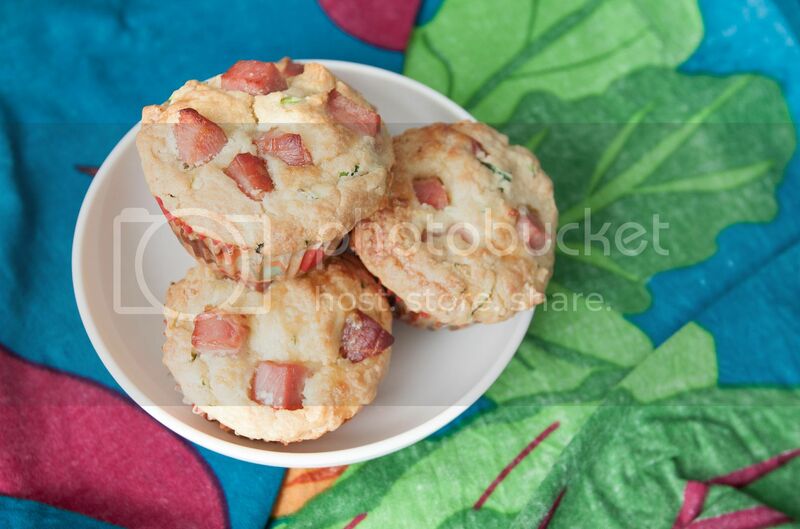 Take out the muffin tray and push some ham cubes into the muffin mixture, also garnish some ham cubes on top of the muffins. 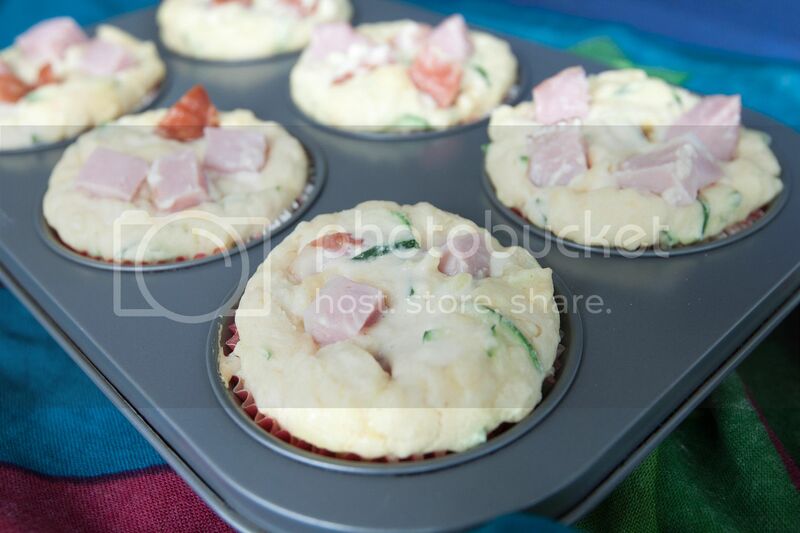 The reason why we add the ham cubes now is that the ham will set "on" the muffins instead of "sinking" to the bottom. Transfer the tray back to the oven and bake for another 27 to 30 minutes, at least till the edges turned slightly browned. Test with a toothpick by sticking it into the muffin, if it comes out clean, then the muffin is ready. I do recommend baking the muffins a little bit longer for that extra crunch on the edges. Once ready, remove from heat and wait till it cools down a little before popping the muffins out.